WELCOME TO MY MONEY MISSION ONLINE: TERRIFIC TUESDAY DEALS, FREEBIES AND MORE!! "WHERE SAVING YOU DOLLARS MAKES SENSE!" OTHER GIVEAWAYS TO CHECK OUT!! TERRIFIC TUESDAY DEALS, FREEBIES AND MORE!! A WONDERFULLY, FANTASTIC, AWESOME DEAL AT MY FAV STORE, WAGS!!!! Buy 3 Reach Ultraclean Toothbrush, Reach Ultraclean Floss or Listerine products and get back a $3.00 Register Reward RR). These are all priced at $3 each; you can buy whatever 3 Listerine or Reach items you would like. There are a bunch of $1.00 off coupons that work well for this in the 6/14 smart source. Use 3 $2.00 off coupons from here ( not all areas have them, try area code 83607 if you do not see them) You will be able to print them 2 times off each computer in your home. So to get 3 of them, you will need 2 computers. When you are done paying, a $3.00 register reward will print for $3.00 towards your next purchase. 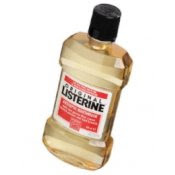 This week there is a $2.00 register reward on Listerine ( these are the larger bottles), when you buy two. But it is a better deal to go ahead and get three for free! How cool is that?!! A Big Thanks goes to A Thrifty Mom for the awesome post! I am going to the Big Town on Wednesday, and I plan to do some Walgreens Shopping!! YAY!! look in the travel section of your grocery or drug store to find this trial size product. There are also other coupons available at Aquafresh.com. Firefox users. If you are using IE print here, if you are using Safari print here. Remember you can print this high-value coupon twice and you've got until 7/15 to use it if you print it today. Free Cookbook for people living with Crohns Disease! Crohn’s Online is offering a free cookbook with easy to follow recipes for people living with Crohn’s disease. This offer is available to US residents only. Crohns Online. Thanks to The Freebie Blogger for this one!! I was alerted by a bloggy reader, Anne, over at Disabled Not Dead, about this great new site, Alice.com, which offers free shipping. She said, "Our local news station profiled it. Some prices are cheap, they automatically add coupons that are available and can auto ship on a schedule. So I put in a small order to see how it goes." Well, as you all know by now, I LOVE a good deal, so I went to the site and browsed around, and you know what?? I found some deo for the teen son and shampoo for hubby that were at a terrific price AND had a coupon that offered some additional savings. As a first-time shopper, I didn't have to have the required number of items in my cart in order to check out (don't quote me, but I believe that it is eight items), so I was able to put in a small order to test it out. I found the whole experience to be very hassle-free, and I'm looking forward to having my products shipped right to my door. How is that for convenience!! If you want to read more about Alice.com, and its' founders, I recommend you click on this link : company.alice.com. It is really interesting!! That is all for now!! Today, I get to babysit, take the cat to the vet (oh boy, what fun! ), then help the teens with the paper route this afternoon. All in all, not too bad of a day, but it is only 7:57a.m., and by this afternoon, I might be pulling my hair out! LOL!! Hi Alisa! Your right the continental breakfast was gorgeous!! The breads are beautiful and there are so many to choose from...too many!! Hi Alisa: I got my order from Alice.com today and I am thrilled with it. I bought 2 boxes 10 count Carnation Instant Breakfast @4.36 ea with .75 coupon off each, 1 - 6.4 oz Colgate Crystal Clean Mint toothpast @1.93 with .75 coupon, 5 Ajax Liquid Dish Soap @1.10 each with .50 coupon for one, 1 box Ziploc Sandwich bags @1.99 with .50 coupon, 3 10pks Extra Sugar Free Gum @2.12 no coupon. The Instant Breakfast sells for 6.99 here, so that was a good bargain. Colgate toothpaste was the 6.4 oz size not the small one but at the small one price. Ajax dish soap is $1.99 here, Ziploc box of 50 sandwich bags is $3.99 here. Extra gum is $2.69 here. So all in all, I saved a good bit of money --- oh, plus free shipping! And it was fast. I placed the order Monday morning and got it this afternoon (Wednesday). I also ordered Laundry soap but they were out of it, so it is on backorder. 50oz bottle for $3.00 so I ordered 5 of them. That will only last 2 weeks around here. They don't charge until they send it out. Let me know how you make out when you get your order. LIKE THIS? SHARE IT ON FB!